Take 15 and wake up! This is a 7″x5″ study. I have been painting a couple of very large oil paintings, and I miss my pastels, and actually finishing something. I took a coffee break, and painted this little guy while my coffee brewed. 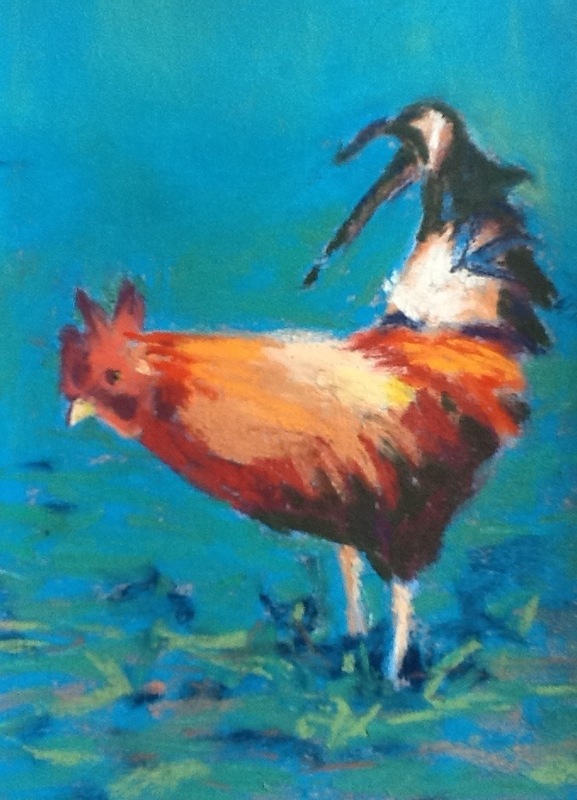 We like roosters, they remind us of Kauai! This one is from Hawaii! THAT’S a coffee break product?! You continue to amaze me.